Welcome to Panorama Towers, Just 1/4 mile from the heart of the Las Vegas strip, featuring world class restaurants and the finest shows and entertainment. Truly A unique signature of grace and beauty for contemporary Las Vegas. Panorama Towers, rising over 400 feet above the world-famous Las Vegas strip and sculpted in a striking embrace of aqua blue glass, offers discriminating buyers their own personal window to the stunning and spectacular views of Las Vegas; from the glittering lights of the world's brightest city to the dramatic entrance of each morning's joyful sun and the alluring call of the Red Rock mountains bathed in stunning sunsets. Even before you take your first step inside Panorama, you'll be captivated by its unique style. Elegant. Functional. Sophisticated. Each residence, inviting and beautifully appointed, feels like a penthouse. The expansive spaces, attention to detail and unique finishing touches make a clear statement - Panorama is destined to become Las Vegas’ premier landmark for sophisticated, modern living. 4400 square feet, you'll enjoy the absolute finest finishes available. From the slab marble/granite countertops, to the fine wood cabinets and doors, no detail has gone overlooked at Panorama. 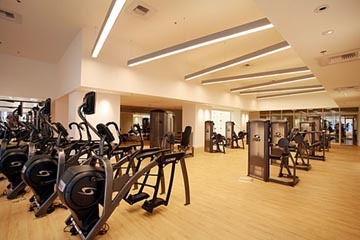 Indulge yourself in Panorama's comprehensive mix of amenities and luxuries of modern comfort ranging from the richly appointed workout facility to his and her spas featuring a massage room, and steam rooms. Panorama, your exclusive playground, a private world away from the crowds, an invitation to play or relax by the pool, a unique and creative showcase of landscaping, textures and water. • Pool & spa surrounded by lounging areas. • Separate his and her spa facilities including massage and steam rooms. 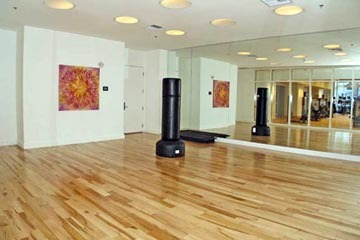 • Fully equipped, state-of-the-art gym including Yoga Pilate area. 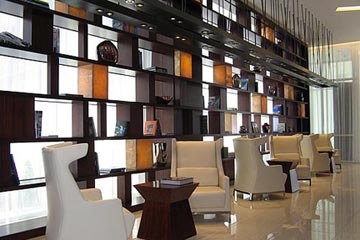 • Concierge ready to assist you any time of the day. • Valet service focused on banishing everyday stress. • 24-hr. guarded gate security with grounds and parking video monitoring. • Conference room available for meetings or special functions. • Spacious large screen theater room.